LiveGrade Pro is the standard software for look management on set and beyond. Its complete scalability and superior integration with various camera workflows and setups have made it an integral part of TV, commercial and cinema productions. Around the globe DITs and DOPs rely on LiveGrade Pro to simplify their creative workflow and enhance on-set collaboration. Previewing and working with digital looks right at the film set is an easy way to enhance the efficiency of production workflows, and to achieve better creative control over your images. LiveGrade Pro is the powerful tool for creating, managing and sharing digital looks. With LiveGrade Pro you can easily create and manipulate looks and apply them to your live image. This allows the fast and precise review of your camera image – which leads to the desired results as early as possible in any kind of production environment. In order to make sure that the look you apply is based on the intended camera settings, LiveGrade Pro lets you monitor live metadata coming from one or multiple cameras. This feature makes the camera status available to DITs directly in LiveGrade Pro. When you are ready to prepare for post-production, LiveGrade Pro’s abilities to export looks in various ways empower you to visually communicate the cinematographer’s and director’s intent. Make the digital look part of the creative production process from the beginning. LiveGrade Pro introduces a new Shot Library, that comes with lots of new capabilities for logging a shooting day. The Shot Library stores camera-related information as well as look metadata. It allows easy browsing of past shots with frame grabs and captured video. You can now also enter metadata in advance for an upcoming shot. 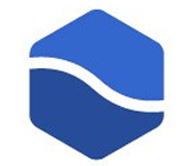 Information can be grouped hierarchically into Folders and Bins as familiar from Silverstack. All information can be exported in PDF reports. Video scopes are the tool of the trade for judging exposure and white balance and help to control and adjust a broad range of camera settings. LiveGrade Pro offers three kinds of video analysis tools: Waveform, vectorscope, and a histogram. Each tool comes with settings to customize the processing and display to individual needs. The waveform also adds the display of the resulting curve of all current color transforms and thus integrates well into the look management and grading workflow. Look information including 3D LUT nodes, ASC-CDL nodes, etc. "Freestyle" grade modes for custom, more complex color pipelines, e.g. multiple input and output LUTs, calibration LUTs etc. Tangent Element (all modules), custom mappings via "Tangent Mapper"
Note: LiveGrade Pro v4 can still be used on macOS versions 10.10 and 10.11, but it is not recommended and future releases of LiveGrade Pro might stop working on outdated macOS versions. 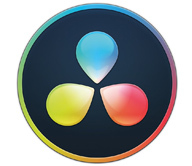 Up to now, there is no driver for HDLink available from Blackmagic Design for OS X 10.11. Please be aware that you are not able to use HDLink devices on OS X 10.11. Highlights: LiveGrade Pro 4.4 with added support for AJA Kumo routers. Video router control and automation: Set up video routing configurations for Blackmagic Design Smart Videohub devices, and automate them on certain events – such as changing slots or switching to another application. Advanced grade node controls: Define custom names for grade nodes. Save them and build up your library of “node presets”, e.g. for filter corrections. ACES support: an Improved mechanism for downloading ACES transforms, and ACES version 1.1. Video routers are often used to route camera signals to the devices controlled by LiveGrade Pro. Users of LiveGrade Pro can now setup routing configurations within the application, and trigger these configurations either from the application when needed, or automate them on certain events within the application such as slot changes. With this feature, the entire video setup can now be operated from LiveGrade Pro. What's new in Livegrade Pro 4.2? Looks created in LiveGrade Pro can be loaded directly into the DXL2. This way the look is instantly written into the clip metadata and can be passed on directly with the clips to post production. For interactive grading on the live image of the camera, an additional LUT box can be used. 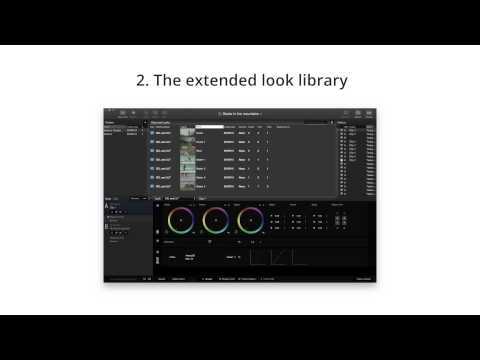 Watch the new video by Panavision to learn more about this new feature. 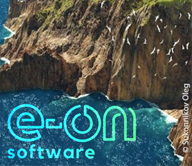 Follow Michael Cioni as he walks you through the new integration and its benefits – from the film set to post production. What's new in LiveGrade Pro 4.1? Did you know that you can update a Look or Still in the Library and, at the very same time, replace the still image that is associated with the look? It’s like killing two birds with one stone!